Especially when you are just starting with your marketing and have not gotten very far with your content creation – content curation for your social media accounts is one of your most important, and one of your most time-consuming tasks. To be successful with your social media marketing efforts you need to provide value on your social accounts. And most of the time, this value comes in the form of shared content – a lot of content. And while your own content should always be at the center of your marketing efforts, you can provide a ton more value when you add great content from other people from your niche to the mix. Often, finding this great content to share is what is eating up most of the time young marketers spend on building their social media audience. 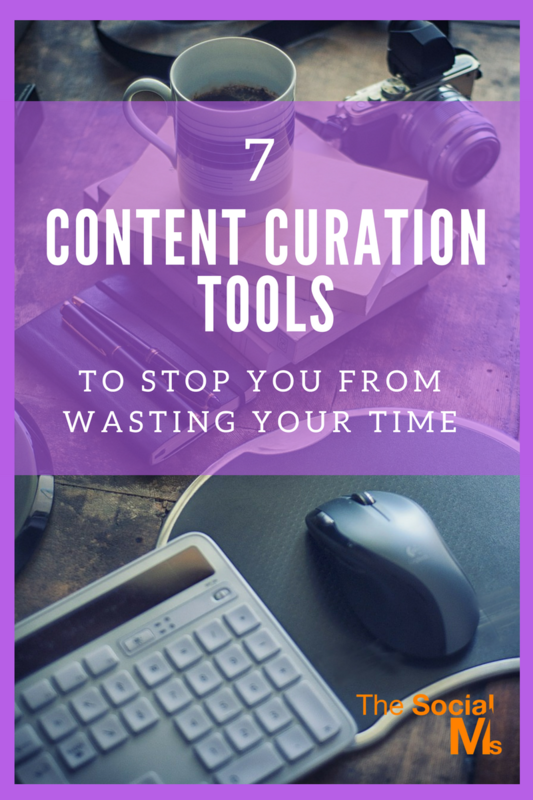 Here are 7 tools that can make your content curation a lot more efficient – and effective. I am not a fan of blindly curating content for keywords, hashtags or a topic. Even if the use of tools in your content curation is totally legitimate, I do not recommend to share everything that a robot (or tools) tells you to share. Part of the value you provide is that you make a choice what is share worthy and what is not. Please, keep that in mind when you choose and set up a tool for your content curation! Let’s start simple. You don’t always need the help of fancy tools. Sometimes simple emails and newsletter subscriptions are a great way to stay up to date and always be informed when new great content comes in. Are you using Twitter? Are you using Twitter lists? Maybe you should take a closer look and see what they can do for you. You can now select the content you like and share it on your social media accounts. I am not a fan of over-automating social media activity. I like to know what I share on my social media accounts. Still, if you have a couple of sources that you trust that they ALWAYS publish great content and you want to automatically add new posts from these sources to your content curation: Dlvr.it may just be the tool for you. ContentGems is a content discovery tools that comes with all the added features to make your content curation a bliss. You can use their database of content sources or add your own via RSS feeds. You can use keywords, social signals or other filters to get content suggestions. These content suggestions come in a dynamic stream for you to see, evaluate and choose from. You can share the content directly to your social networks. I addition, ContentGems integrates with the mot important sharing tools like Buffer and Hootsuite so that you can use the content to fill your update queues and schedule the posts. BundlePost also helps you select posts from your favorite sources. You can easily add RSS feeds, Google alerts or other feeds. You can hand select content from the suggestions, and turn them into social media updates. BundlePost also works with the most common social media scheduling tools like Hootsuite, Buffer or even SocialOomph. Quuu gives you content suggestions – even if you are new to a topic and do not have a ton of blogs and sources you trust. Quuu provides you with hand selected content suggestions. Instead of blindly selecting content based on keywords or topic selections, Quuu promises to review each and every piece of content they suggest. There are endless content curation tools to help you discover great content. They can easily keep your social accounts active without you spending much time on it. As said before, I am not a friend of going for complete automation just because you can. The best way to make sure the shared content meets your quality standards and fits your niche is to take a look at the content suggestions and hand-select the content you share. However, content curation tools can make finding content for almost any niche a lot easier and quicker. Content curation can be a very time-consuming task. Content curation tools can help you find better content and save time in doing so. It is up to you to decide on the amount of automation you want to do – and which tasks you rather keep doing for yourself. 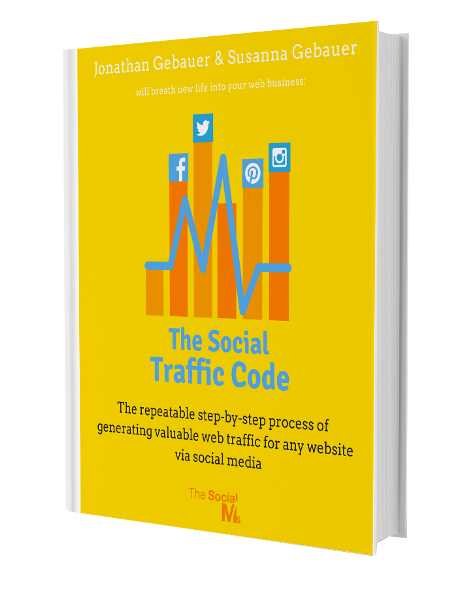 There are more tools to help you automate your social media accounts. Simply keep in mind that social media needs to be social – and personality is one of your most important ingredients to set your social media activity apart. Too much automation will keep most of your personality out of the mix.